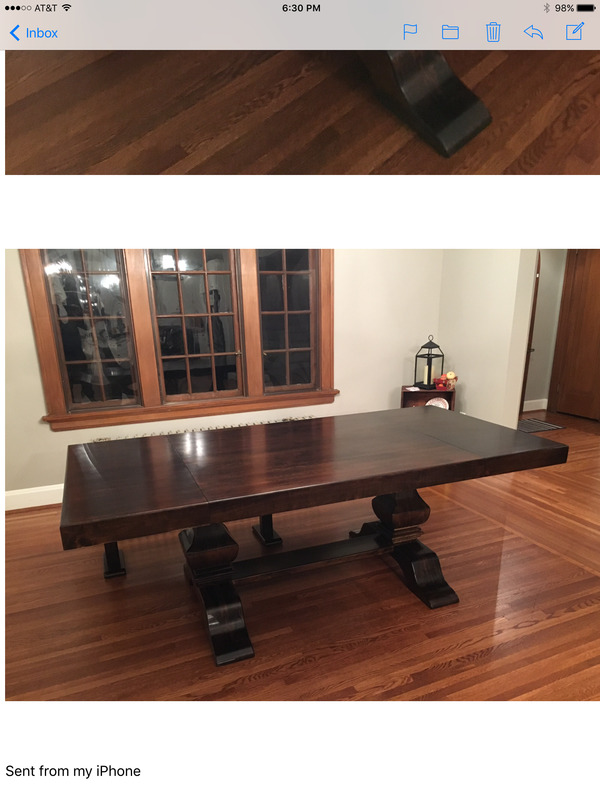 This Dining Table, constructed entirely of solid birch & stained a dark walnut, has 2 large pedestals to adequately support the large 3'-6" x 7'-0" table top. 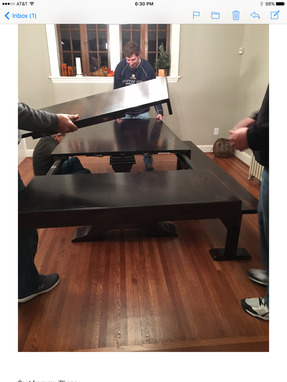 When the 2-18" leaves are added, the table top becomes a full 10' long & can accommodate up to 10 people comfortably. 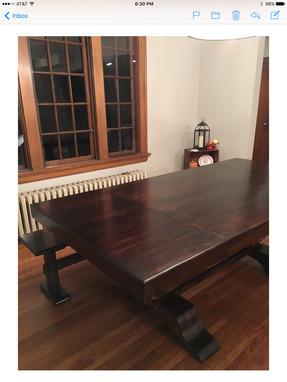 After staining the Dining Table, several coats of a satin polyurethane were applied, followed by a hand rubbed wax & buff. 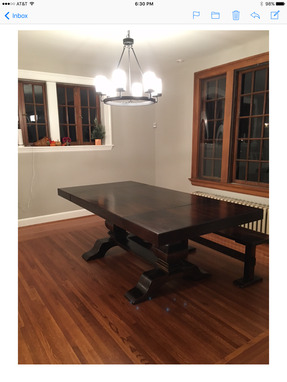 NOTE: More than 12 weeks is required to construct, finish, & deliver the Double Pedestal End Extension Dining Table. Please contact craftsman through Custommade.com for further information.